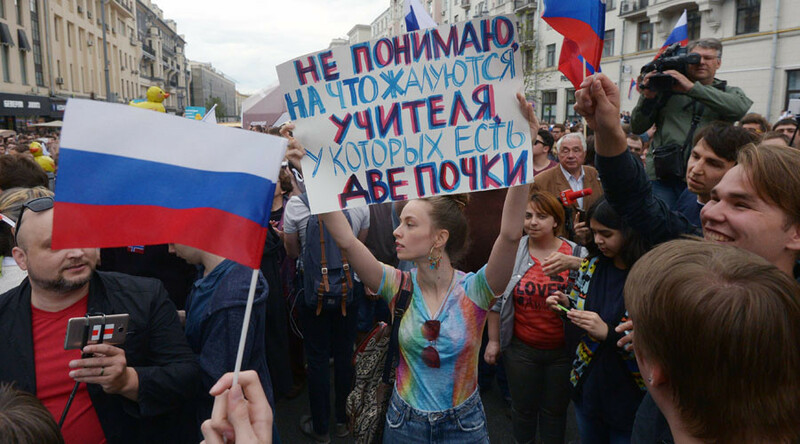 State Duma deputies have opposed the proposal to ban minors from participating in unauthorized protest rallies, made by some senators after yet another series of unlicensed protests that took place during the Day of Russia holiday on Monday. The head of the lower house Committee for Legislative Work, Pavel Krasheninnikov (United Russia) said on Tuesday that in his view any tightening of the law was excessive if it only concerned underage citizens. “The responsibility must lie with those who launch various provocations and we already have this. We should not go for excesses after each real-life incident. Laws should be universal and the underage should be left alone,” Interfax quoted the MP as saying. He added that the unauthorized anti-corruption rallies that took place in several Russian cities on Monday should not become an excuse for changing the existing laws and also that these events looked very much like to be deliberately provocative, similar to the one that took place in Russia in January 1905, when numerous casualties were suffered by workers as police broke up a peaceful rally, eventually triggered nationwide unrest. Krasheninnikov’s statement came in reply to an initiative voiced by upper house speaker Valentina Matviyenko in late May this year. Matviyenko proposed to ban minors from participating in unlicensed protest rallies, with sanctions for non-compliance applied to the parents of these minors. Russian Human Rights Ombudsman Tatyana Moskalkova supported the idea. According to police reports a quarter of about 500 people who were briefly detained during the unsanctioned Monday rally in St. Petersburg were under 18 years old. Many of the 150 people who were detained in Moscow were also minors. 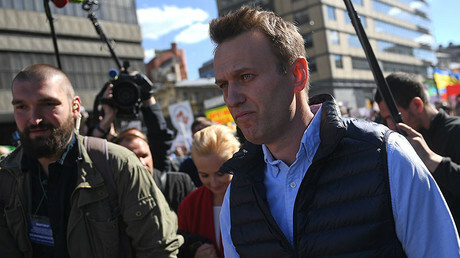 The detentions started as the main organizer of protests, anti-corruption blogger-turned- political activist Aleksey Navalny, ordered his supporters to march on Tverskaya Street instead of Sakharov Avenue, another location in central Moscow where the protest rally was approved by City Hall. Moscow authorities reacted by calling the change of location a deliberate provocation intended to deceive people into attending an unauthorized gathering.